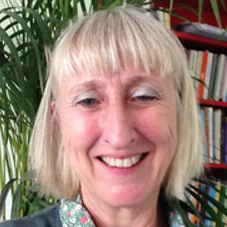 My name is Caroline Duggan and I am a qualified Psychotherapist with over 16 years experience. I work in a relational and client centred style. How can Body Relational Psychotherapy Help you? You may be looking for something specific like psychotherapy for anxiety or depression. Most people seeking therapy wish to live happier lives and free themselves from needless pain but meet many obstacles and blocks. These blocks manifest both in the mind and the body. I set out to work with you to explore what is getting in the way of finding more fulfillment and enrichment in your life, addressing both mind and body. It can seem difficult talking to a stranger so I aim to be as present as I can so you can find space to open up to your experience. You may be unsure if relational body psychotherapy can help you or if I am the right person for you. You can find out more from the FAQ page, or by finding out what might happen in a session. If you wish contact me by email or phone to find out more or to ask particular questions do not hesitate. There is no obligation to go further if you do not wish to do so. What might happen in a session? Biodynamic Massage what is it?